Cuter Commuter: A Pound of Carbon Dioxide - So What? When we get in our cars and drive, I wonder how many people think about the impact that has on our environment in terms of carbon dioxide (CO2) emissions from burning fuel? I admit that I don't really think about it but I thought about it today as I was riding my bike to work. CO2 is usually measured in terms of pounds. But what does a pound of carbon dioxide look like? 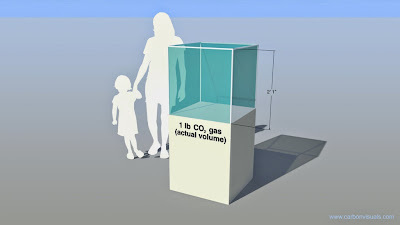 Given a certain pressure and temperature, the volume of 1 pound of CO2 would look like this. Large enough to fill a cube 2 feet 1 inch high or a sphere 30.5 inches across (the size of a large rubber exercise ball). What does the combustion of one gallon of gas look like? For each gallon of gas that we pour into our tanks, our cars crank out about 25 pounds of carbon dioxide. So if my commute is 20 miles round trip and my car gets 20 miles per gallon, this is how much volume of CO2 would be generated by me driving. But since I ride by bike to work about 20 miles roundtrip, I save about 25 pounds of carbon dioxide each day!! 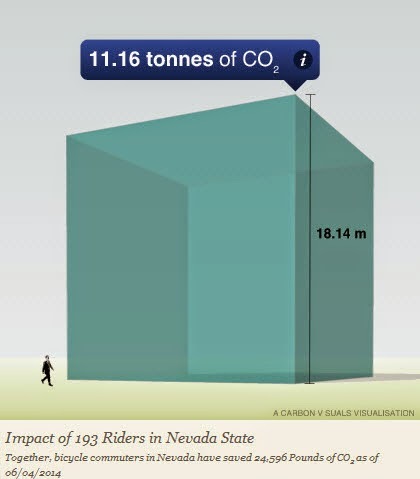 To date, the 193 bicycle commuters in Nevada who have registered on the National Bike Challenge have saved 24,596 pounds of carbon dioxide!! That's a lot of rubber exercise balls!! 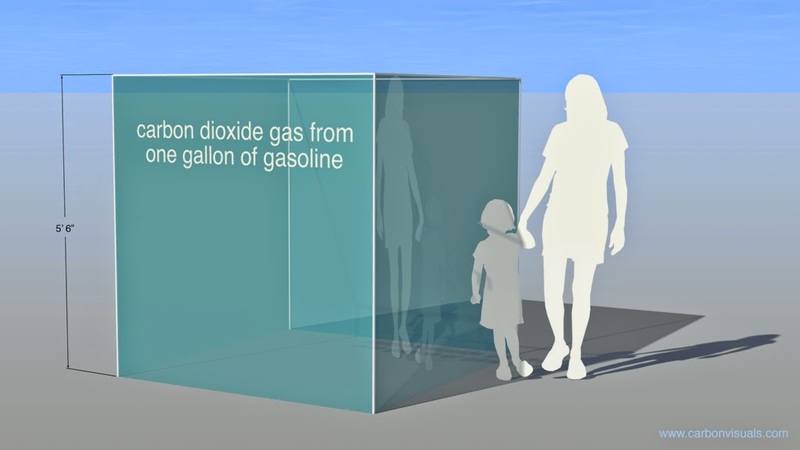 Visualizing how much carbon dioxide is released into the air by our daily driving is enough to make us hop on our bikes for our commute to work, doesn't it?!?! Through active transportation, we will be helping to keep our air clean and our hearts! !